For families sticking together, one of the biggest Okemo standouts is its accessible terrain. From tots working on their pizza wedge to tweens honing their advanced skills, ski resorts across the United States have recognized the importance of catering to families and are helping kids progress their skills and enjoy their time on and off the mountain like never before. Limited child-to-instructor ratios and increasingly segmented age groups are improving the on-mountain learning experience, while an emphasis on base-area activities and events is adding more family fun to the after-ski routine. 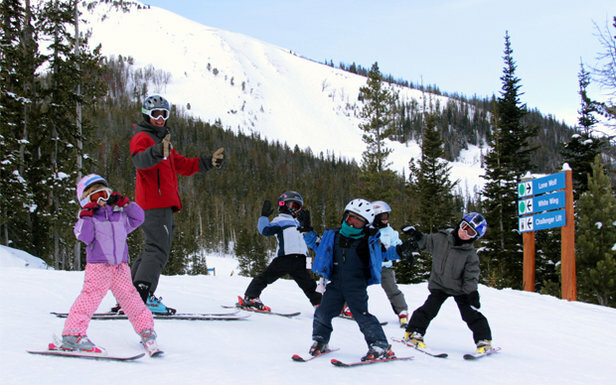 U.S. resorts are catering to new parents with child care and babysitting programs available for kids as young as 6 months. As for those hard to impress teens? Ski areas are rolling out nighttime activities and relaxed, yet supervised, areas to just hang or play games. See below for some of OnTheSnow's top user rated U.S. ski resorts for kids and families, plus an OnTheSnow user review for each. Keystone delivers a kid-friendly experience from the moment the car doors open. Free parking near the resort’s base and free gear wagons make transportation from the lot to the lift a breeze. Numerous ski-in, ski-out lodging options, restaurants and kid-centric activities complement the beginner friendly terrain. 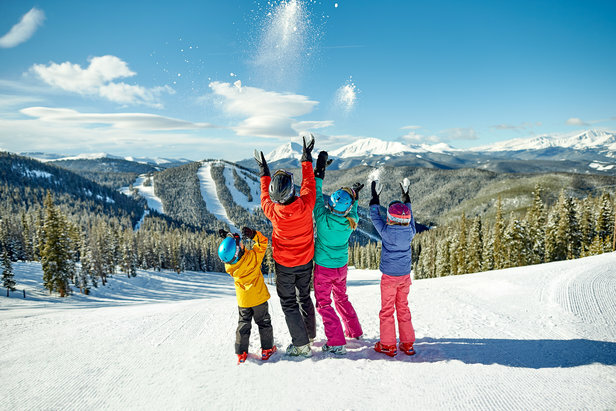 To top it off, Keystone’s Kidtopia offers mini-shredders everything from snow forts and playgrounds to scavenger hunts and complimentary fresh baked cookies. “The programs for the kids have been great! Getting to the lifts with kids is an easy task (use the wagons that are provided). Just drop the kids off at ski school and they handle it from there.” See more Keystone reviews here. Feel the joy of happy kids this season! 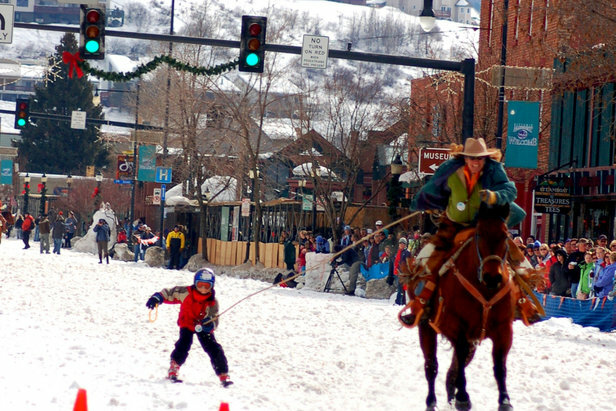 Steamboat caters to families with events, perks and activities from the base area to downtown. Holiday events, including the Winter Carnival and the Springalicious Festival, keep the kids happy from December to March. Other amenities include the Kids Vacation Center, which offers a variety of programs available for kids 2.5 years old up to Kindergarten. “We try to get our kids out a few times a year during the Christmas Holiday and/or Spring Break. Steamboat has been our standby for our trips because we really enjoy the people of Steamboat, the staff and the quality of the experience.” See more Steamboat reviews here. 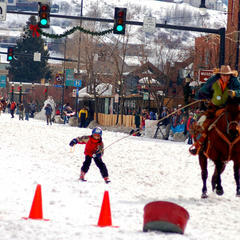 The Winter Carnival in downtown Steamboat Springs has street events down Lincoln Avenue. When traveling with humans who have a short attention span and little patience, choosing a ski resort that’s close to an airport can make all the difference. 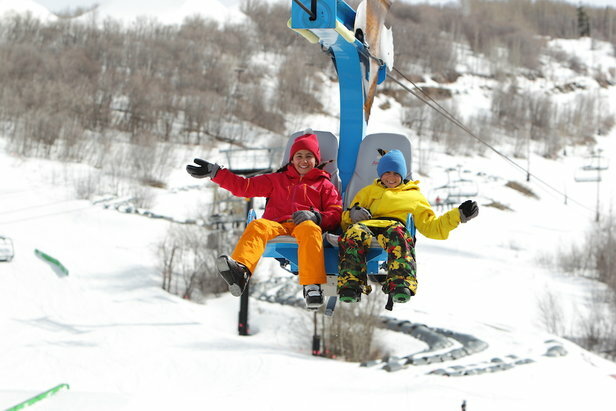 Park City is located just a 35-minute drive from Salt Lake City International, offering 7,300 acres of terrain and a large base area with a variety of kid-friendly activities. 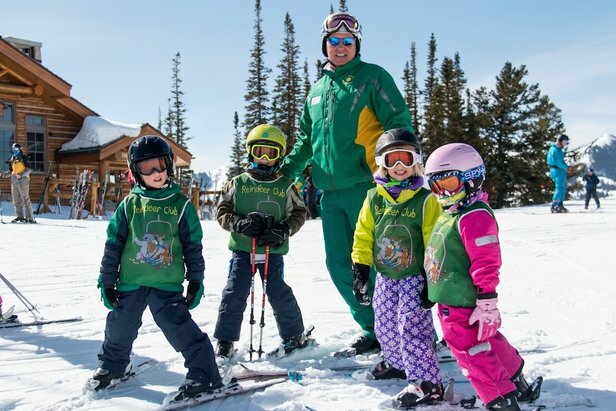 Multiple ski school, child care and preschool options are available on the mountain. 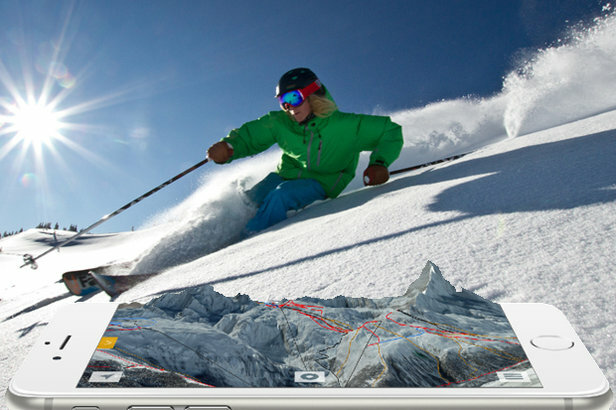 “Terrain for every ability—unique layout that allows families with different abilities to ski together. Lots of after-ski activities such as alpine coaster, zip line, ice rink, sleigh rides. Most accessible ski area we have been to, with a phenomenal ski school.” See more Park City reviews here. 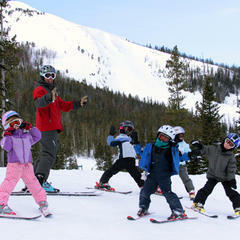 Deer Valley caters to families with “kid-friendly skiing,” child care programs and a limited child-to-instructor ratio. Because Deer Valley sells a limited number of daily lift tickets, tiny tots and pint-sized groms have plenty of room to work on their pizza wedge and French fries. Other amenities include a Children’s Center, Adventure Camp and furry mascots on the Adventure Trails. “I grew up skiing here and learned to love the mountains and snow at this resort. The amenities are top notch and the food is amazing. As a young kid, when the skiing got tough, I would always head inside and get delicious food and hot cocoa.” See more Deer Valley reviews here. 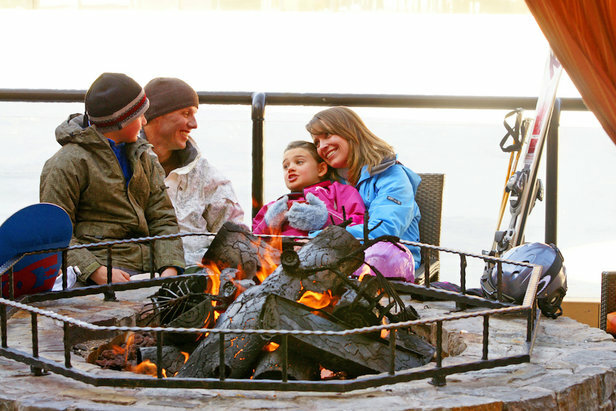 The Village at Northstar offers a variety of family-friendly activities, including roller skating, bungee trampoline, crafts, movies and holiday festivals; fire pits are available for roasting smores and convenient gear wagons make transporting gear to and from the parking lot quick and easy. 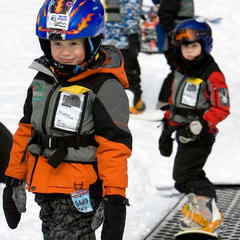 Multiple ski lessons are available for kids 3 years old and up. “The staff is super family friendly, the instructors are amazingly experienced, the ski school is terrific and they take a lot of care to maximize customer enjoyment no matter what Mother Nature throws their way.” See more Northstar reviews here. Big Sky’s minimal crowds are a welcome relief for helicopter parents who are sick of busy groomers. As the name suggests, Big Sky is big on views, making that family portrait a frame-worthy addition to the mantle. Numerous activities, including zip line tours, sleigh rides, dog sledding and a high ropes course are sure to keep the kiddos at bay, and a variety of on-mountain lodging options provide convenient access to and from the slopes. “We had a great experience over the holidays with ski school for our family. We had a great family vacation and everyone left better skiers. Because we were in the village, we had a lot of wonderful time together.” See more Big Sky reviews here. Big Sky offers kids camp lessons. Sun Valley’s SnowSports School offers top-notch instruction whether you’re interested in group, private or specialty lessons. Off the slopes, Sun Valley entertains kids of all ages with activities, including sleigh rides, movies, bowling, ice skating, ice shows and more. When it comes to lodging, Sun Valley offers everything from deluxe condos to charming multi-room cottages. “WOW! The terrain park at Dollar with the family skier cross was a gas. Spent Christmas with the fam and the terrain was perfect for anyone.” See more Sun Valley reviews here. Smugglers’ Notch offers an idyllic Vermont escape with a variety of kid-centric amenities. From adaptive programs and lessons to babysitting and child care, “Smuggs’” delivers. The Teen Alley Teen Center (ages 13-19) caters to the young adults in the group, offering a supervised and centrally located gaming area in the Village. Condominium lodging options are within a quick walk or an on-demand Resort Shuttle ride to the Village. “Our family of five has been going for four years now. The family events and ski instruction are second to none. The instructors are absolutely the best and have a way to teach the kids the love for skiing or boarding at all levels.” See more Smuggler's Notch reviews here. Bretton Woods, New Hampshire’s largest ski area, offers 464 acres and 62 trails and is regarded as having some of the best grooming in the East with an average annual snowfall of 200 plus inches. Kid-friendly winter activities include a slopeside climbing wall, ice skating, kids snowmobile park, tubing and more. Hobbits Ski & Snowboard School (ages 4 to 12) offers a variety of programs for the growing skier or rider and the Ski & Snowplay Program (ages 3 to 5) is perfect for younger kids in need of a relaxed introduction into winter sports. “We have visited Bretton Woods for the last 13 years, on our own and with friends and family and we've all fallen in love with the variety of skiing and the friendliness of the resort.” See more Bretton Woods reviews here. 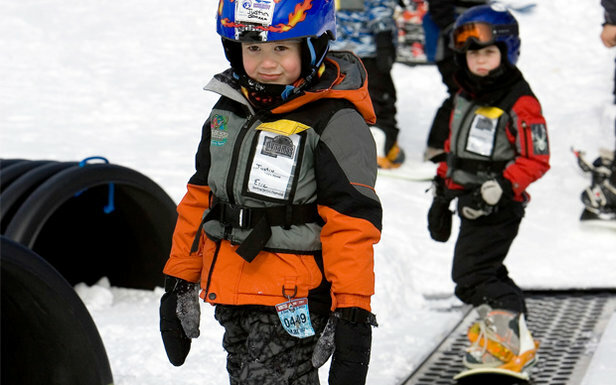 Okemo’s Ski + Ride School offers programs for kids ages 6 months up to 14 years old. 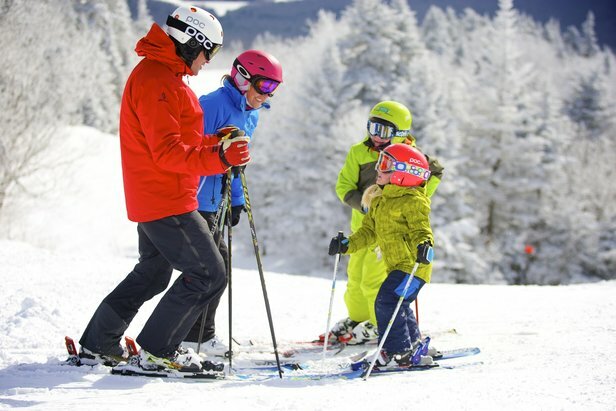 From the Penguin Playground Day Care (6 months to 4 years old) to AmplitudePLUS (7 to 14 years old), Okemo instructors are available to build skills and confidence in young skiers and riders. The Kids Night Out (6 months to 6 years old) and Kids Night Out X Programs (7 to 12 years old) entertains kids with movies, pizza and activities in a state-licensed child care facility. “Have been coming here for years with my family—best experience for young kids, great learning programs, well maintained and well-marked terrain.” See more Okemo reviews here. 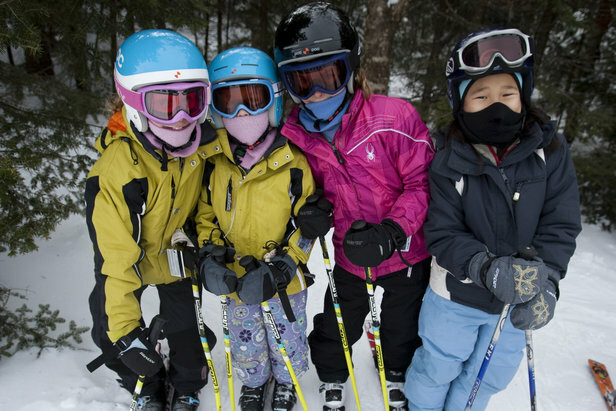 Parents can feel safe letting kids of a certain age venture off on their own at Okemo.